Keurig coffee machines have become popular over the past few years because of the convenience it offers. There are a size and color to fit a user’s need to have a perfect cup of coffee, especially in the morning. We all know that a cup of coffee can make our day, but a broken one will most likely ruin our day. 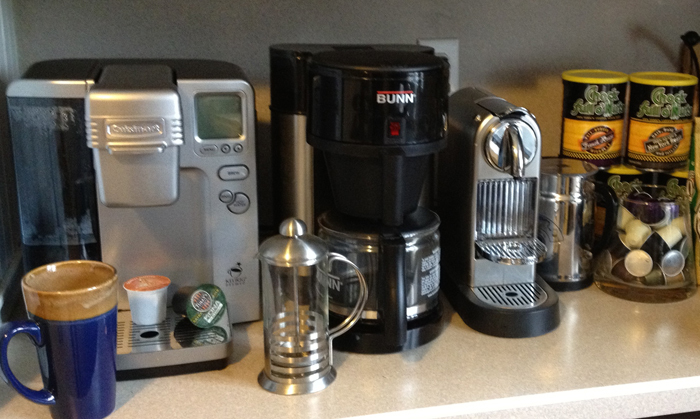 The Keurig coffee maker allows us to brew single cups of our favorite coffee, tea, as well as cocoa, using their K-Cups. These are single-serving flavored and regular hot beverages. One press on the Brew button at the coffee machine will make us a fresh brew of your favorite drink to start up our busy schedule for the day. Noticeably, after a few months or years of using the Keurig coffee maker, it will begin to start acting up, especially if it is not well maintained. There are a lot of problems caused by improper maintenance of the coffee maker. Having these kinds of problems can break our day and will leave us craving for that hot cup of freshly brewed coffee. Based on the problems that will be mentioned later on, this article is here to help you how to fix Keurig. I will be giving you instructions on how to fix your unit based on each individual possible problem. I will also be providing some pro tips in order for you to properly maintain your Keurig and to prevent problems from happening. First, you have to see what the cause is. It is easier to troubleshoot if you already know the cause of the problem. It can be because of too much debris buildup. If you believe there is scaling in the machine, especially if you have used the coffee machine consistently for about six months, mix vinegar with water and soak in the coffee machine for about 45 minutes. Flush the vinegar and water mixture and provide a thorough cleaning to the machine with clean water. This process will get rid of calcium scaling and you can try it to see if it works. Switch off and unplug the Keurig from the power outlet. Clean the dispensing line with something that resembles a paper clip. By doing this, you will be able to remove the leftover of coffee grounds. Another way to clean the dispensing line is to blow air using a straw. If the Keurig has air bubbles, fill the reservoir with water and give it a few shakes. This will make sure that no air will be trapped inside the machine. You can quickly check if all the components are positioned at the right places and are seated properly. As it is highly common that the magnetic reservoirs lose their alignment, it is vital that you double-check it just in case. Once you plug in the machine and you turn it on, you will notice the power icon will start to appear at the bottom right portion of the touchscreen display. If this never happens, you have to check if there is a problem with the machine or the touchscreen itself. Unplug and plug the machine in repeat just to make sure. If it still will not work, try a different power outlet. If none of the above works, this is the perfect time to contact the Keurig customer care hotline. For Keurig Elite, check if the Auto Off light indicator is illuminated. This will tell you that the machine will shut off after two hours after its last brew. For Keurig Special Edition and Platinum, to disable Auto Off feature, go to the programming menu and press the Auto Off black button. The left button is to be pressed multiple times. Once it says ‘Off’, this would mean that the feature is disabled. Clogging of water line that ultimately reduces the amount of coffee in your brew cycle may cause this problem. Clogging may also be caused by the debris of coffee grounds that are left within the water line. Operate the cycle for a few times with water, without the use of a K-Cup. Clean the needle to remove the excessive amount of grounds and debris. Once you have unclogged the water line, you should be getting the normal amount of brew in every cup of coffee you make. This problem may be caused by the inaccurate installation of the gasket. You need to check if everything falls into its proper places if you see leakage. If the gasket is missing, you have to buy and replace it with a new one. If the gasket is still there, re-adjust it forming a perfect seal with the water supply and the K-Cup. You may also move the gasket down by ¼ of an inch to close the gap between the needle and the K-Cup. If you are not changing your brand and coffee flavor but the taste is odd, it may be caused by scale buildup inside the coffee machine. Regular clean up every three months is mandatory to prevent this problem from happening again. As a solution to this problem, you may choose to do the trick using the water and vinegar mixture mentioned above. Take out the water reservoir and clean it well using soap. Dry it by patting it with a non-abrasive piece of cloth. It is important to note that these reservoirs are not dishwasher safe and it’s better that you wash it using your hands. Fill the water tank again to the maximum level. Turn the machine on and see if the error message still shows up. If the problem persists, it’s time to call the Keurig customer hotline. 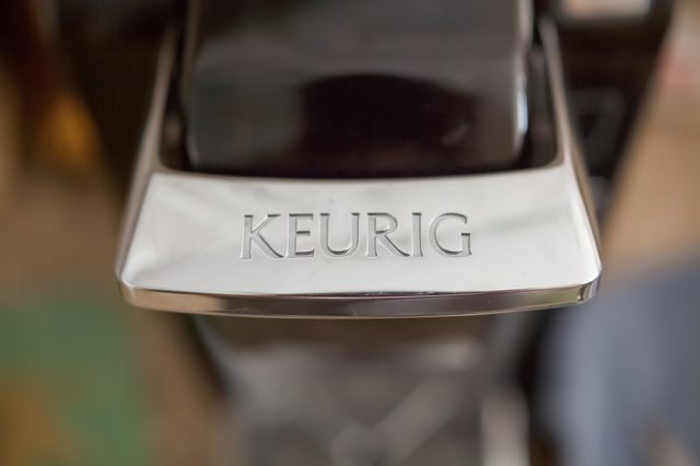 In order to prevent the problems mentioned above from happening again, here are some tips on the proper maintenance of Keurig coffee machines. Doing this maintenance routine at least every three months will guarantee that your beloved coffee machine will have a longer life. You may disassemble the parts and clean the parts individually. You just have to unplug the Keurig coffee machine first from the power outlet before you start. Unclogging the needles will also let you clean the insides of the coffee machine. You may find debris of leftover coffee grounds while you clean it. You may also turn and tap the machine upside down to get rid of debris that has built up on the inside of the machine. Using a drinking straw, you have to blow hard on the tube to remove the debris that has accumulated. This may sound crazy but it works. Once you have finished washing the parts, you have to wipe it down with the non-abrasive piece of cloth and you can now start reassembling it. Now that I have provided you with an informative guide on how to fix Keurig, I am confident that you will now be able to do this on your own. Knowing these steps will save you a lot of time especially if you have zero patience with contacting customer care.